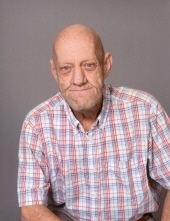 Charles Eugene Folks, 70 passed away on January 19, 2019 while surrounded by his family. Charles was born November 14, 1948 in Blythe, California. He later moved to Pensacola, Florida when he and several siblings were adopted by the Folks’ family. He served in the US Army as a Mechanic and was stationed in Kansas and Germany. Charles and Delores married in May of 1970 and later had two sons – Charles and Robert. Charles enjoyed woodworking, gardening, camping, hunting, and fishing. He drove a truck for about 40 years, was a member of Tunnel Hill Christian Church for over 45 years and enjoyed ringing the bell with his Santa hat for the Salvation Army. He was preceded in death by his parents, a brother Danny and a sister Beth. Charles is survived by his loving wife of 48 years, Delores, two sons, Charles and Robert, and his grandson, Grayson. He is preceded in death by his parents. Charles and Evie, sister, Beth and twin brother Danny. Visitation will be held at Gehlbach and Royse Funeral Home in Georgetown, IN from 11 AM to 2 PM Thursday, January 24, 2019 with funeral services at 2 PM. Burial will be at Edwardsville Cemetery. To send flowers or a remembrance gift to the family of Charles Eugene Folks, please visit our Tribute Store. "Email Address" would like to share the life celebration of Charles Eugene Folks. Click on the "link" to go to share a favorite memory or leave a condolence message for the family.